This recipe for butternut squash tortellini is a deliciously easy entree created by my friend Alexa for our upcoming dairy-free menu plan for this year’s 21 Day Dairy-Free Challenge sponsored by So Delicious. The Challenge will run from January 23rd to February 12th, but you can still sign up for some great goodies. They’ll send you new coupons, dairy-free tips, a shopping list, snack guide, and more! Alexa Croft is a freelance graphic designer and the founder of Flo & Grace, a beautiful online magazine. You may know her from Lexie’s Kitchen, but she got a bee in her bonnet to do something bigger. On Flo & Grace, Alexa honors her three grandmothers with natural approaches to health and healing, do-able DIYs, and of course, family-friendly recipes that nourish. 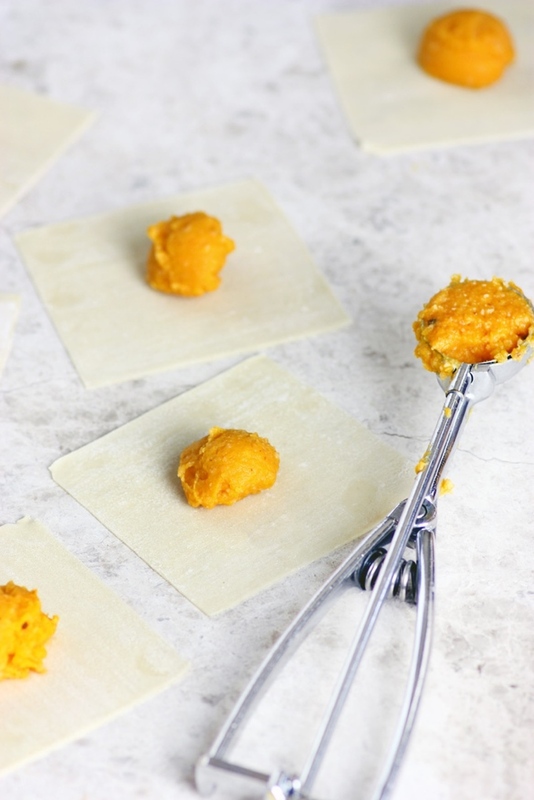 This easy butternut squash tortellini recipe is just one example of the deliciousness she creates! 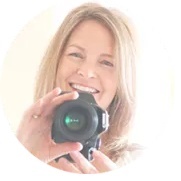 It is quite an honor to be guest posting here at Go Dairy Free. The talent that churns out recipes and reviews here is exceptional. Thank you Alisa and team for doing all you do to promote the goodness of living dairy-free. Our family is grateful! Ask anyone who has gone dairy-free what one dairy-full delight they miss most and you’ll likely get a host of replies. But for me it’s butter—salted, creamy butter. So when I ran across a recipe in Epicurious for Butternut Squash Cappellacci with Sage Brown Butter, a tear of longing fell from my eye. If you’ve ever had brown butter, you get it. Brown butter is a rather magical ingredient. Its flavor is rich, nutty and out-of-this-world. When I saw it drizzled over picture-perfect butternut squash pasta, I knew I had to find a way to recreate the dish and make it dairy-free. Like many things dairy, there’s no replacing true brown butter, but I was determined to come up with a drizzle that resembled it, something close to the real thing that I could spoon over this adapted recipe for Dairy Free Butternut Squash Tortellini. 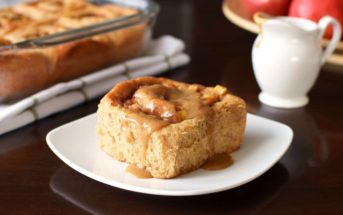 True brown butter is made by melting butter over medium heat, swirling the pan as you go. The butter is cooked just until it begins to foam and the milk solids start to brown. The browned solids are the magically flavorful part. In this recipe for Dairy Free Butternut Squash Tortellini I’ve done a little work-around to achieve a close and lovely buttery and nutty drizzling sauce. The pasta filling has also been adapted to be dairy free—the nutritional yeast stepping in ever so subtly to replace the Parmesan. Additionally, I have simplified by using prepared wonton wrappers in place of homemade rolled pasta sheets. The first time I made these, my sister and I were holed up with our kids in a Denver snowstorm. At first bite I was thankful. Thankful for family and for a warm home as the beautiful snowflakes fluttered down. Thankful for companies like So Delicious and Earth Balance who make dairy-free living easy and delicious. And thankful for the wonderful dairy-free Butternut Squash Tortellini sitting before us. By ingredients, this recipe is dairy-free / non-dairy, nut-free, peanut-free, soy-free, plant-based, and vegetarian. 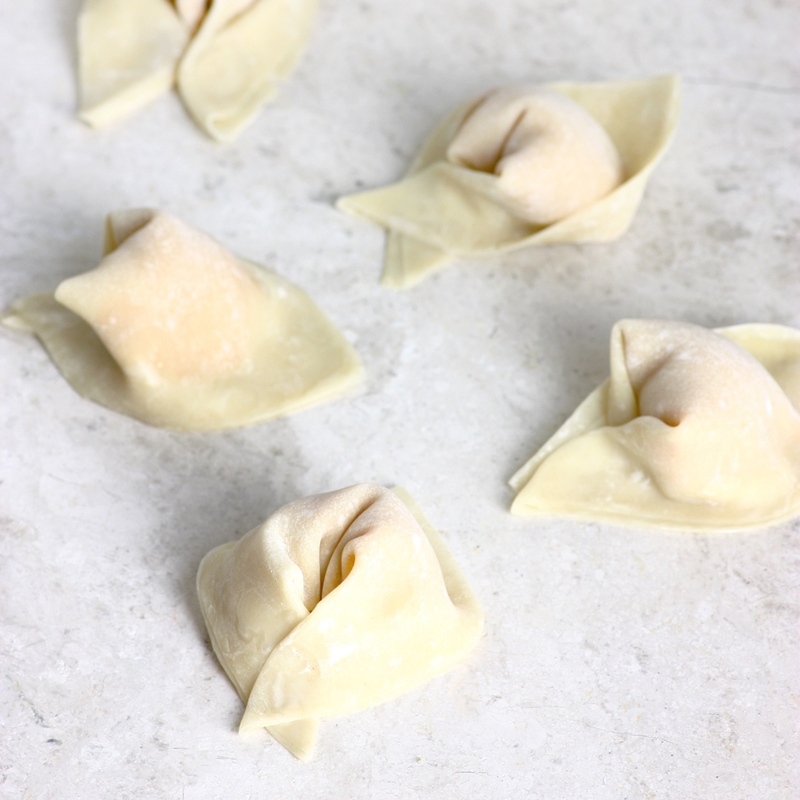 For strictly egg-free and vegan butternut squash tortellini, you can seek out egg-free wonton wrappers. They do exist but are more elusive. Or you can roll your own dough! It’s not as simple as Alexa’s shortcut, but it’s not that difficult either. 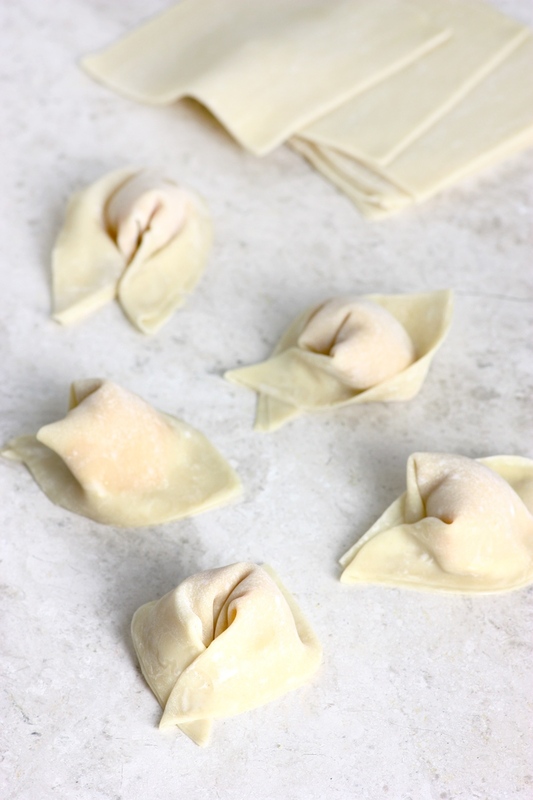 For gluten-free, dairy-free butternut squash tortellini, I recommend the wonton wrapper recipe in The Gluten-Free Asian Kitchen, or you might like this gluten-free wonton wrapper recipe. 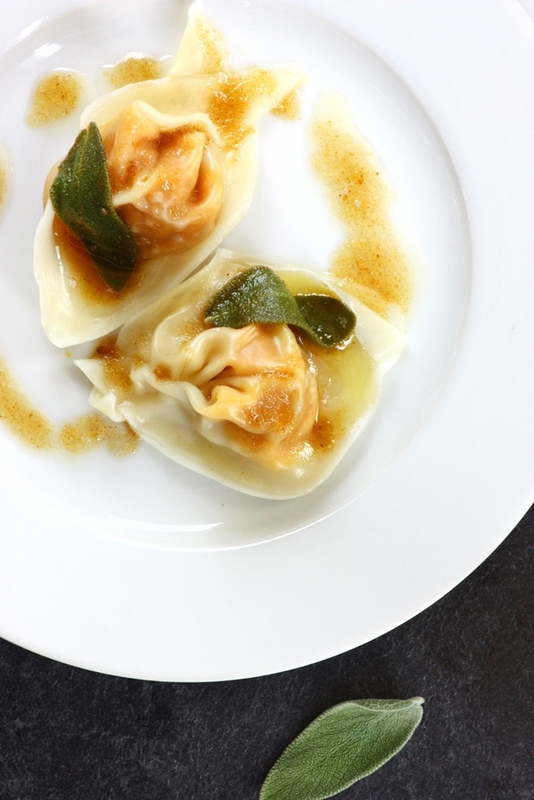 This recipe is adapted from a recipe for Butternut Squash Cappellacci with Sage Brown Butter as seen in Epicurious. In the bowl of a food processor fitted with the S blade, process the butternut squash, 3 tablespoons pretzel crumbs, nutritional yeast, ½ teaspoon salt, creamer, and nutmeg until smooth. Spoon 1 teaspoon butternut mixture onto the center of a wonton sheet. Moisten all of the edges of the wonton sheet and fold over. Press down firmly but gently around the filling to seal and force out air pockets. Bring the two opposite corners together, overlapping the ends, to make a small ring, then press them together. Cook the tortellini in a pot of simmering salted water until al dente, about 5 to 6 minutes. Meanwhile, heat the buttery spread in a small skillet over medium heat. Add the remaining 1 tablespoon pretzel crumbs and sage. Swirling, cook until the pretzel crumbs are slightly brown, about 1 to 2 minutes. Add the lemon juice, if using. Season with additional salt and pepper, to taste. Remove the tortellini from simmering water with a slotted spoon and transfer to a serving plate. Drizzle with the dairy-free brown butter and serve. *Grind a small handful of pretzels in a coffee grinder or crush in a zip top bag until very fine. Bread crumbs would make a perfectly fine stand-in. 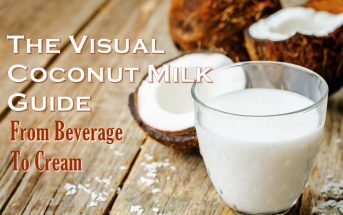 **If your store has run out of this popular creamer, you can swap in Lite Coconut Milk in a pinch. This is so creative. We are all lactose intolerant in our house but get away with eating some dairy. On the other hand, our bodies are quite happy when we eat dairy free cuisines like many of the Asian cuisines so I know a dairy free version of this would be so welcome in our house. Great job! I love tortellini! I am super excited about this recipe! I love that you filled them with butternut squash! Ohhhh everything about this sounds lovely!! Such a delish combination and those pictures are so tasty. I never knew how easy it would be to make your own tortellini! I have a ton of butternut squash to use up from last years garden harvest, I will have to give this a try. Yum! I’m so impressed with how your totellini came out! This looks like this weekend’s dinner for us! These look amazing! I love a fancy and easy to make meal. Brown butter, sage, butternut squash, ahhhh so perfect together. I am really going to work on making homemade gluten free pasta this year. This homemade pasta recipe is some good inspiration. Awesome job! These look gorgeous! 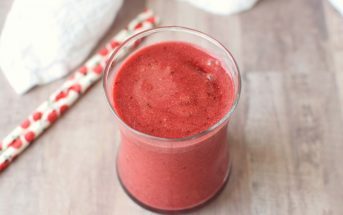 I’m sure you’ve made many very happy with this dairy free version! What a fabulous recipe makeover! 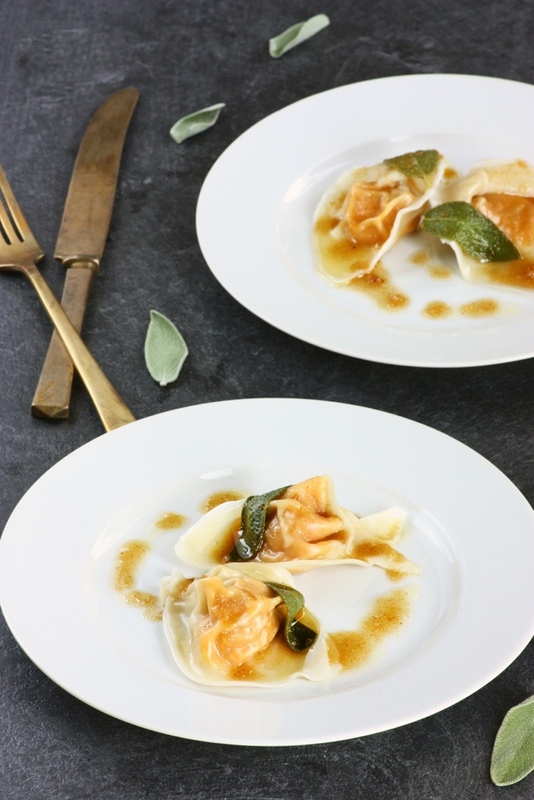 I absolutely love butternut squash agnolotti with brown butter sauce and sage. This looks amazing! Oh I used to love using wonton wrappers. These tortellini look delicious. I need to figure out a way to make gluten free wonton wrappers. There’s a great recipe in The Gluten-Free Asian Kitchen (it’s actually the cover shot!) and I’ve heard good things about this gluten-free wonton wrapper recipe. Thank you Alisa, I remember seeing that recipe in The Gluten-Free Asian Kitchen, too. I will have to go dig up my copy!! What a gorgeous plate of food! These butternut squash tortellini are worthy of any dinner table! I can just picture that first bite and the feeling of happiness that comes from this dish! It is hard to find completely safe wrappers but when I do, I’ll have to try this. It sounds delicious. Brilliant idea using pre-made wonton wrappers! I usually make my own dough but this is so much quicker and easier! I love this idea as squash and sage are such a great duo, and so happy it can all be done dairy free. Gorgeous plating too – perfect for a dinner party! Isn’t pretty? Alexa is so great with pretty presentation. Those look scrumptious. I bet I could use gluten-free wanton wrappers and make these 🙂 So excited. These look amazing! 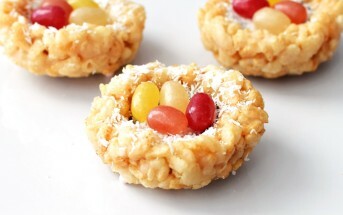 Great for a night in with a glass of wine, and they’re so easy too! Tortellini is definitely something I still miss!